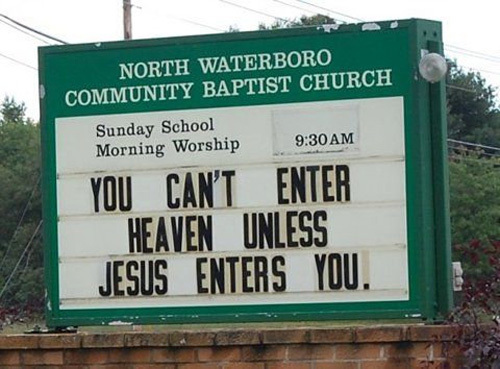 We’ve been cracking up all morning scouring the internet for the dirtiest church signs we can find ever since discovering SomeEcard’s list of their top seven. If you have any other favorites, send them our way! We assume most of these were unintentionally creepy, but you never really know when talking about organized religion. Which is your favorite?